D.S.S. Level 20 CNC Race Prepped Blocks are technologically advanced. Our Ultra Seal cylinder prep is very detailed and time consuming, however it provides ring seal and power second to none. You could settle for average performance, but why? 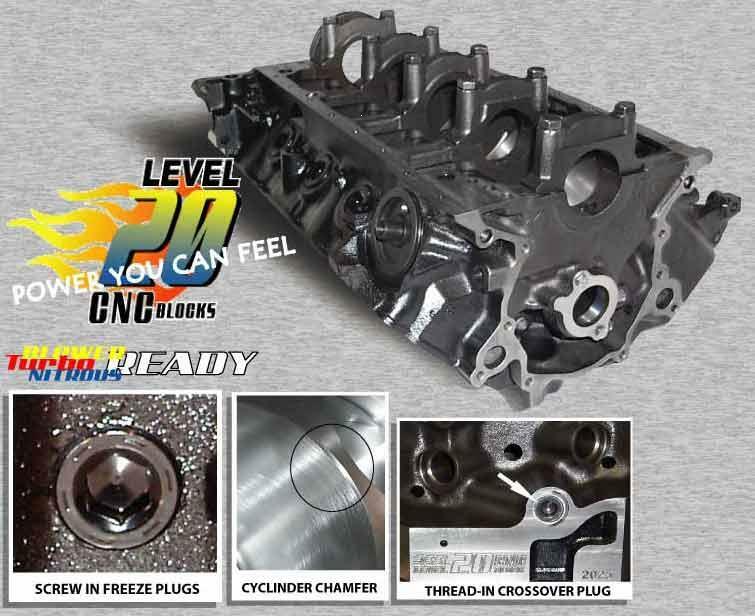 20 CNC race prepped blocks give you power you can feel and the winning advantage you desire. This system has been Race proven in numerous 650+ HP production blocks.